The program aims to facilitate employers’ implementation of commuting safety measures at the workplace through practical intervention in order to reduce the number of motorcyclist accidents. It also encourages close cooperation between strategic partners and stakeholders for better road safety. At one event, the Minister of Human Resources M. Kulasegaran emphasised the need for joint efforts and a systematic framework to ensure the safety of workers during their daily commute. 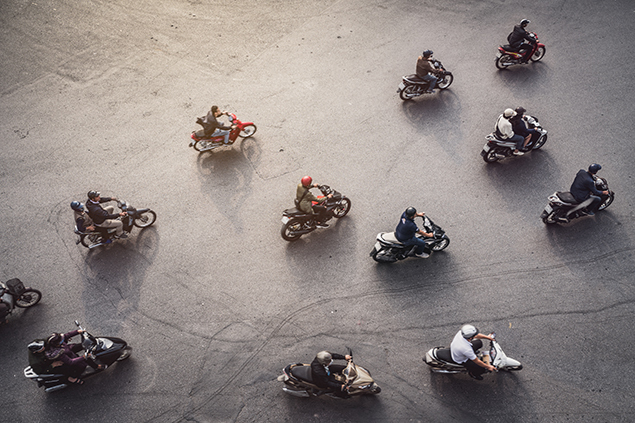 In one year, 805 training sessions were organized and 10,000 motorcyclists successfully trained through the CSSP. This resulted in improved riding behaviour by 85 percent of participants in terms of using personal protection such as helmets and protective vests, and 76 percent of the workplaces engaged with the programme achieved at least 10 percent reduced involvement in commuting accidents. The CSSP is part of SOCSO’s initiative to support and implement Vision Zero based on the three pillars of safety, health and wellbeing, following the 7 Golden Rules. The programme also builds on the Standard and Industrial Research Institute 4 (SIRIM) of Malaysia: 2014 Good Practices in Implementing Commuting Safety Management Guidelines. Recently, the project was included in the Good Practice database of the International Social Security Association.